An exceptionally high quality wide-aperture EF-M standard lens. 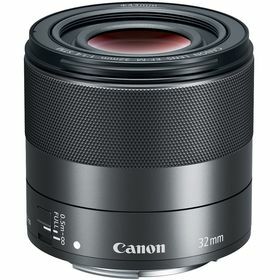 For portraits, candids and compositions with a pleasing natural perspective, the EF-M 32mm f/1.4 STM is a premium EF-M prime lens designed to be fast, discreet and capable of delivering images with exceptional detail and clarity..
• Offering a ‘standard’ lens 51mm field-of-view, closely akin to the human eye, the EF-M 32mm f/1.4 STM lens is designed to capture subjects with realism and detail. • Appealing to discerning users looking for a responsive and tactile feel, with a wide focus ring to inspire confident manual focusing. • A wide f/1.4 maximum aperture makes this lens perfect for creative portraiture, candid and street photography with pleasing bokeh and stunning low-light performance. • High-quality images and movies from a modern optical design that delivers excellent contrast and sharpness. • A wide maximum aperture brings greater creative possibilities during focusing, allowing a subject to be fully in focus against a blurred background. • Shoot pin-sharp images, even in dark conditions or with moving subjects. STM autofocus locks on confidently and quietly. • The EF-M 32mm f/1.4 STM aspherical lens elements are coated with Canon’s renowned Super Spectra coating which tackles ghosting and flare when shooting into the light. • Small and discreet construction with a 60.9mm diameter makes it perfect for street photography where discretion is preferred. 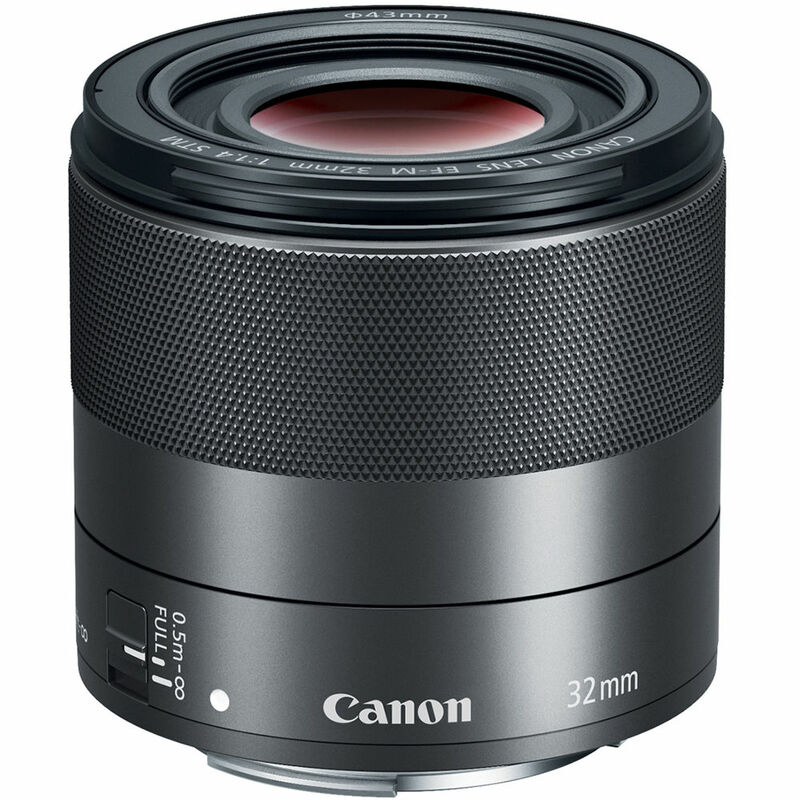 • The EF-M 32mm f/1.4 STM has been designed to deliver a premium performance rivalling much larger lenses, with a metal lens mount, low 235g weight and look and feel in keeping with the Canon EF-M mirrorless system. • The EF-M 32mm f/1.4 STM is compatible with the ES-60 lens hood, which secures via a bayonet mount to help protect from lens flare as well as unwanted knocks and bumps. • The EF-M 32mm f/1.4 STM boasts a class-leading 0.25x magnification making it more than capable of close focusing which further adds to its versatility as a great all-round standard lens. • STM autofocus works more steadily when shooting video, for slower focus transitions that look smoother and more natural.